Forests, fields and lakes stretch out across this wild, Pantanal landscape, all providing excellent bird and mammal viewing opportunities at Pousada Aguape. 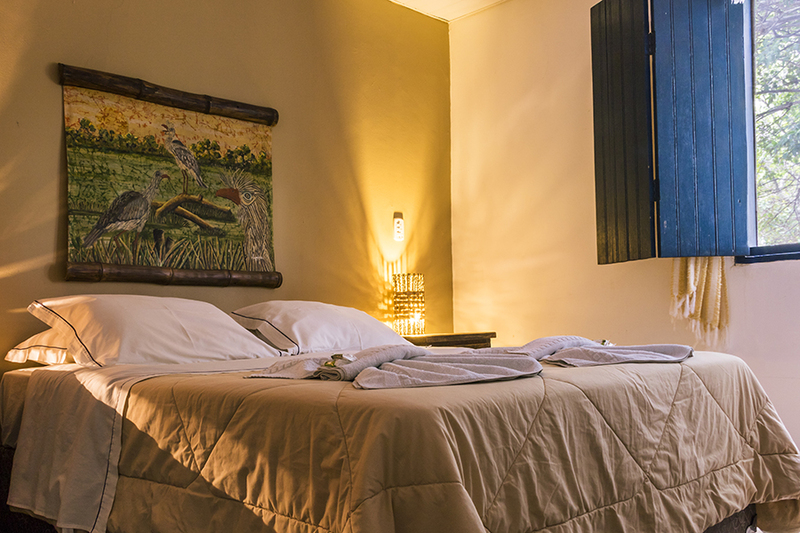 Pousada Aguapé is situated in a beautiful property beside the Aquidauana river in the South Pantanal (about a 2 ½ hour drive from Campo Grande). The nutrient-rich waters of this vibrant river are inhabited by numerous fish species, which in turn attract fish-eating birds, such as cocoi herons, ringed kingfishers, neotropic cormorants and ahningas, as well as fish-eating mammals, such as neotropic otters and giant otters. Forests, fields and lakes stretch out across this wild, Pantanal landscape, all providing excellent bird and mammal viewing opportunities. A large family of capybaras resides near the lodge, so there are usually wonderful opportunities for admiring these curious creatures up close. The flowering plants and fruiting trees in the lodge’s garden attract numerous species of birds including hyacinth macaws, toco toucans, black-hooded parakeets and plush-crested jays to name but a few. 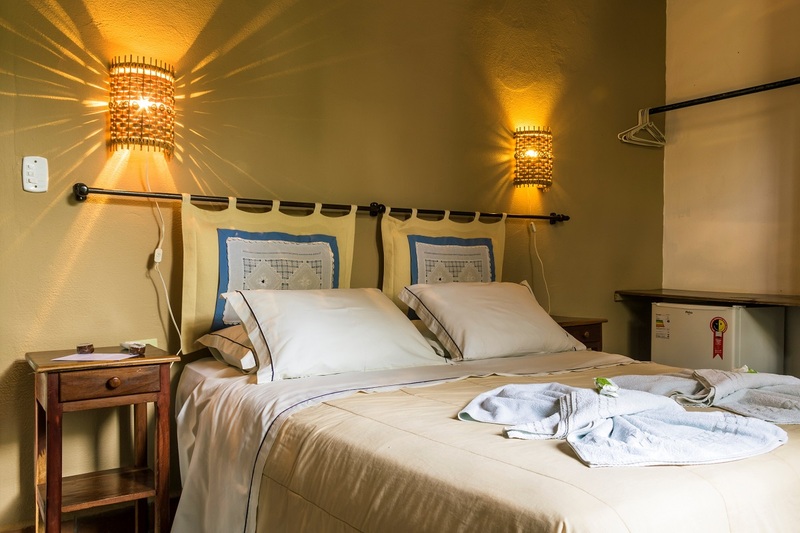 Situated within the lodge’s charming garden, the guest rooms (15 guest rooms in total) are both comfortable and cosy, with a variety of room types to suit each guest’s needs. 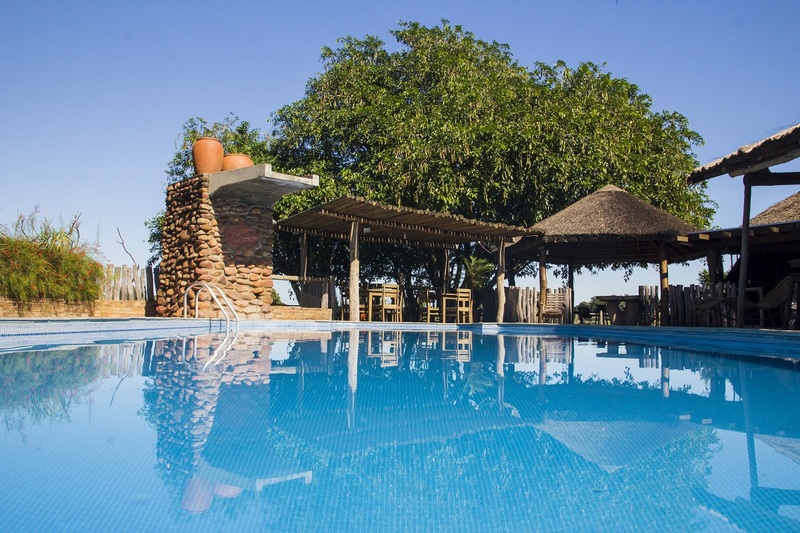 There are plenty of places at the lodge to relax and unwind, absorbing all of the riches of this natural paradise. Inside the main house of the lodge, there is a reception area, a spacious tv room and library, a living room and a small shop. Outside, there is a large meeting room, a bar and a swimming pool with views over a vast field, which is always bustling with wildlife. The spacious dining room, with a variety of table sizes, is also outside. The meals, which are served as a buffet, are diverse, very tasty and plentiful. 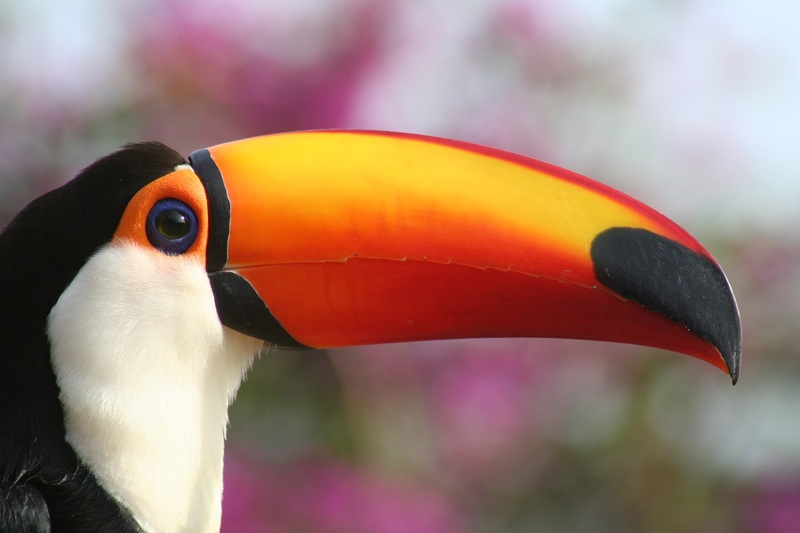 This is a great way to experience the varied natural habitats at Pousada Aguapé, with trails taking you through open fields, around lakes and into forests. Jabiru storks, yacare caimans, greater rheas, pampas deer and giant anteaters are just a few of the animals you might encounter during your walk. Using a comfortable, open-back safari vehicle, you will be able to explore more of the lodge’s expansive territory. You will have a chance to see lots of different animals including crab-eating foxes, gray brocket deer and greater rheas to name but a few. Spotlighting in the dark allows you to see nocturnal creatures such as ferruginous pigmy owls, Brazilian rabbits and possibly even ocelots. 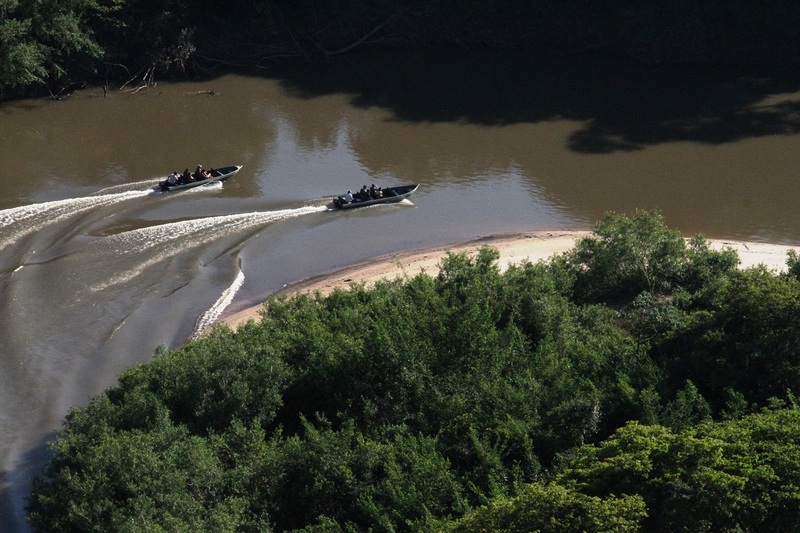 oat trips (using comfortable and stable aluminium boats) on the Aquidauana river are full of fantastic wildlife-viewing opportunities. Perhaps you will glimpse a snowy egret daintily stabbing the water surface with its sharp, slender beak, or a family of giant otters as they boisterously patrol the river’s murky, fish-laden waters. The lush, seasonally-flooded forest which borders the river is a great place for glimpsing brown capuchin monkeys and black howler monkeys. 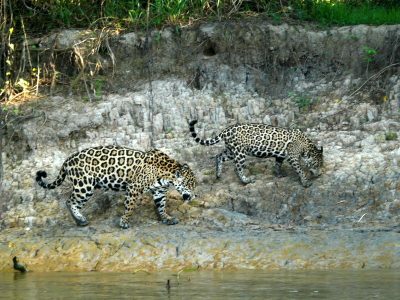 A wonderful way to experience the Pantanal and all of its wildlife. The horses are very calm and obedient, so even if you are a beginner, there is no need to worry. By horse, you can explore a diversity of terrains. This is a great option if you do not want to horse ride, but you still want to explore a lot of the same trails of the horse-riding activity. The carriage is comfortable, low to the ground and quiet, so is a perfect way to take in all of the sights and sounds of this rich, wildlife environment. Fishing for piranhas in the lake or river beside the lodge is a fun activity, giving you a chance to see these infamous fish with your own eyes. This activity also allows you to see yacare caimans which are attracted by the fish you catch. 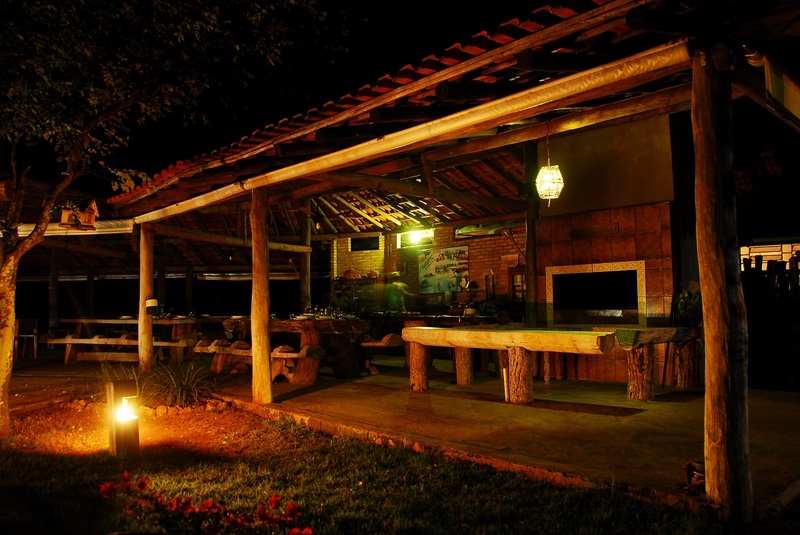 Pousada Aguapé operates both as a lodge and a low-density cattle farm. Cattle farming has a rich and fascinating culture in the Pantanal. During your stay here, you can accompany the cowboys in the fields to see their daily routine as they work the cattle. 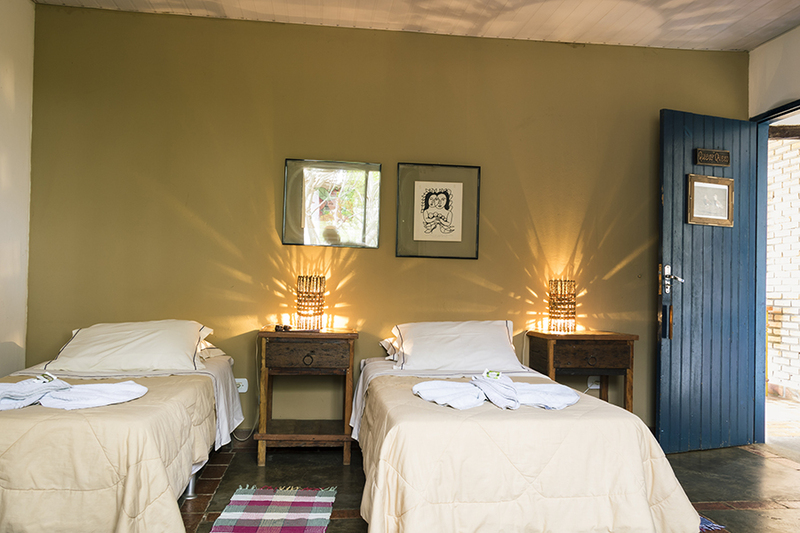 Pousada Aguape is surrounded by the lush riverside forests of the Aquidauana River, allowing guests to experience up-close the natural beauty of the Pantanal region. 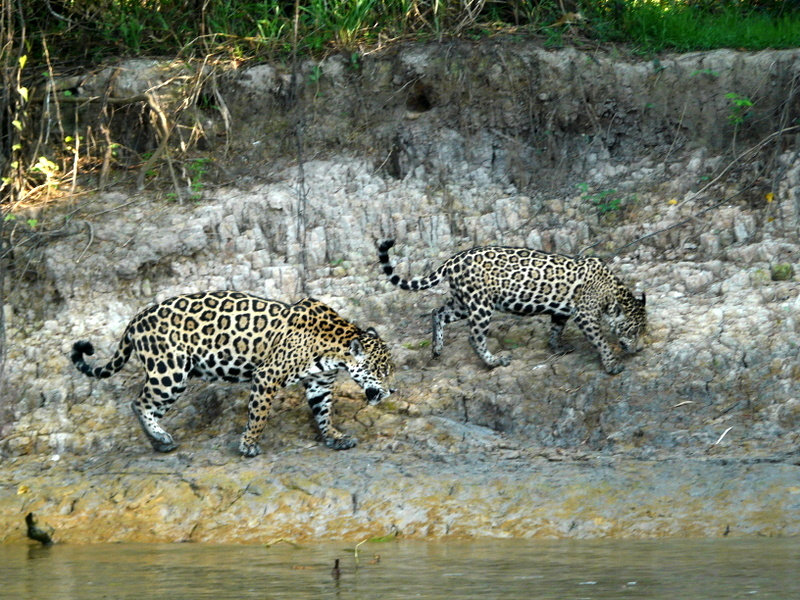 Come and explore this stunning area and its abundant wildlife. 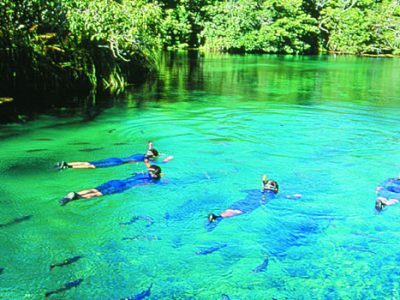 The perfect program if you wish to combine wildlife viewing of the Pantanal with the excitement of great snorkeling, caving and more options in Bonito.